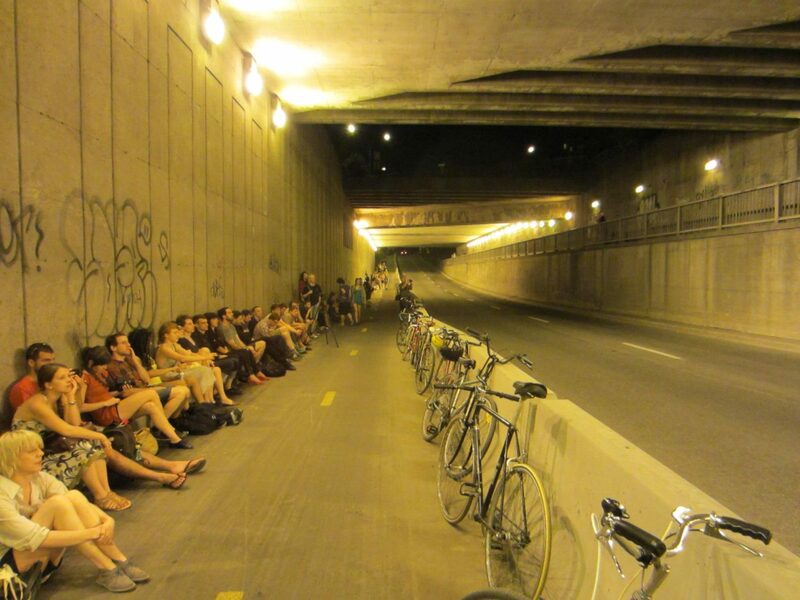 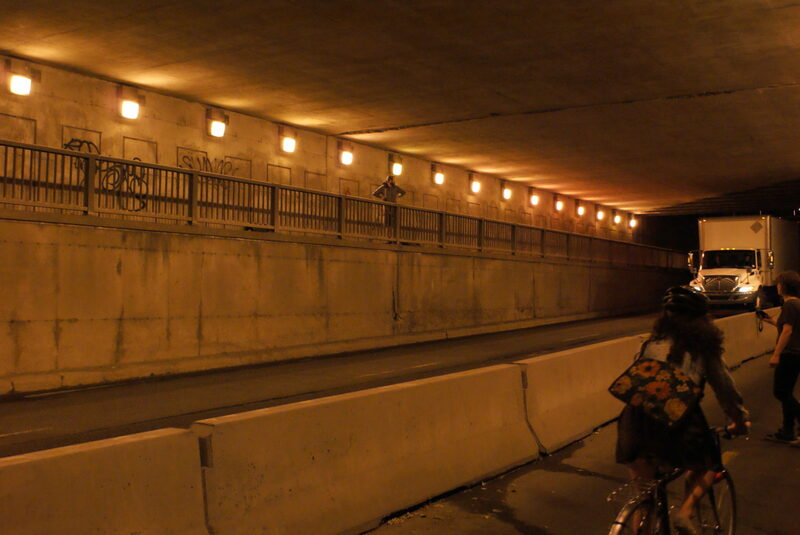 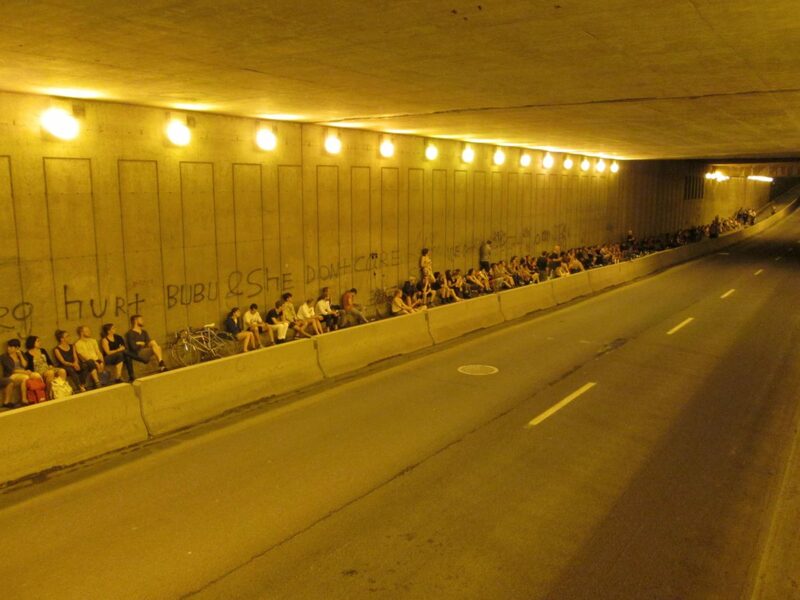 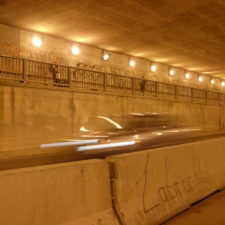 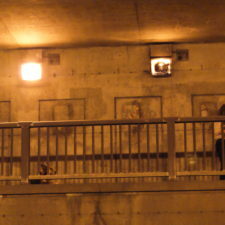 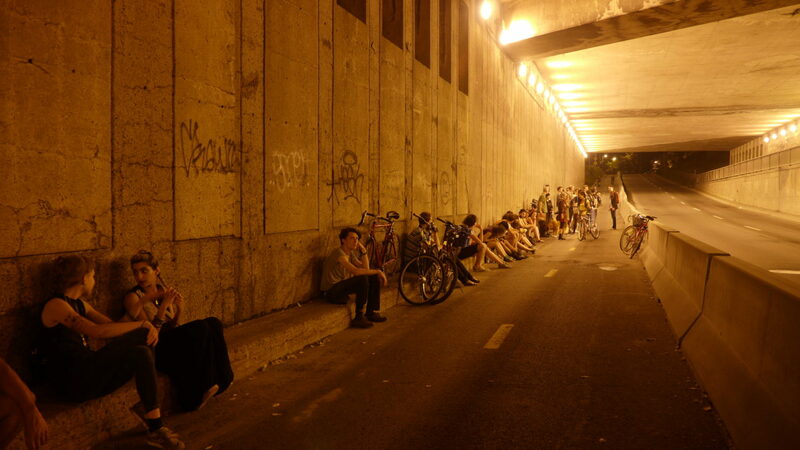 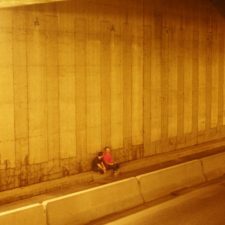 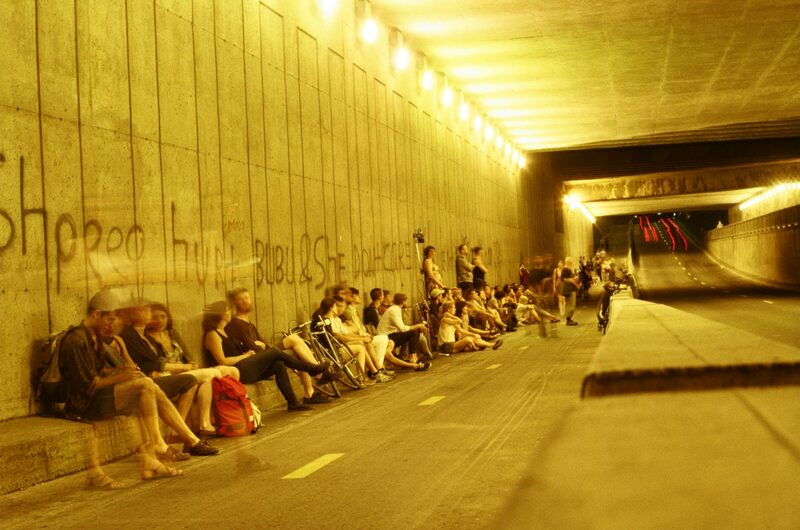 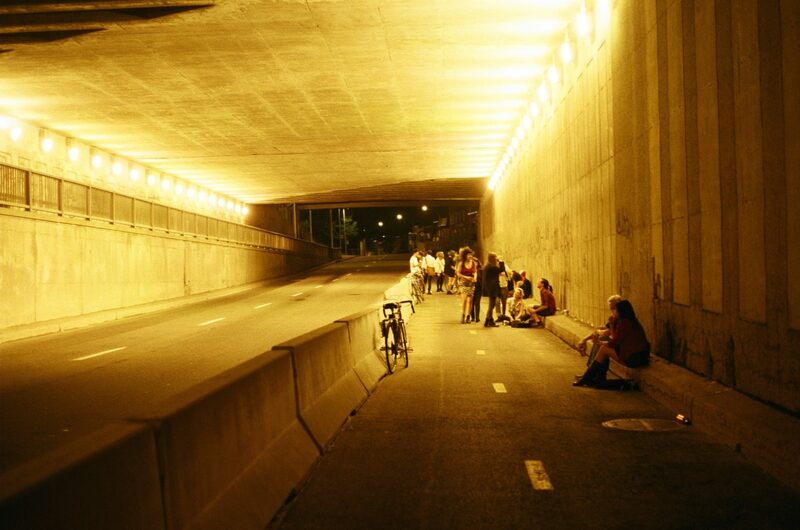 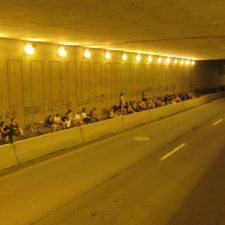 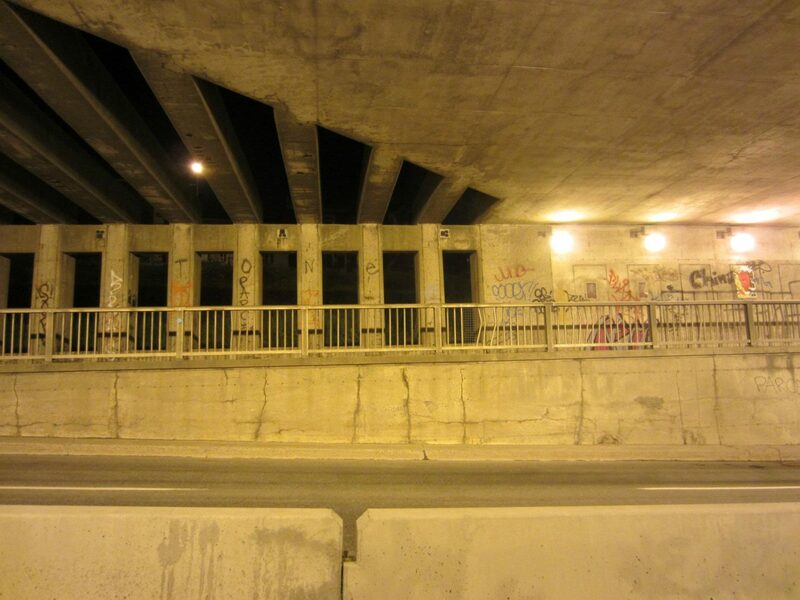 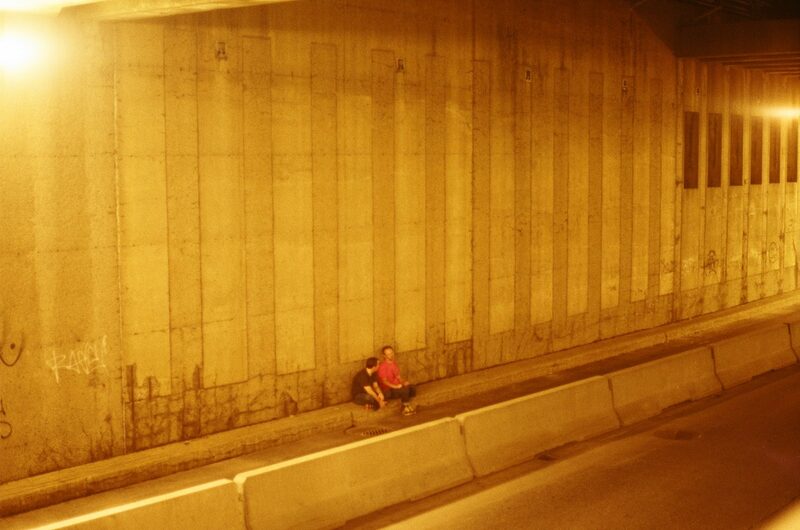 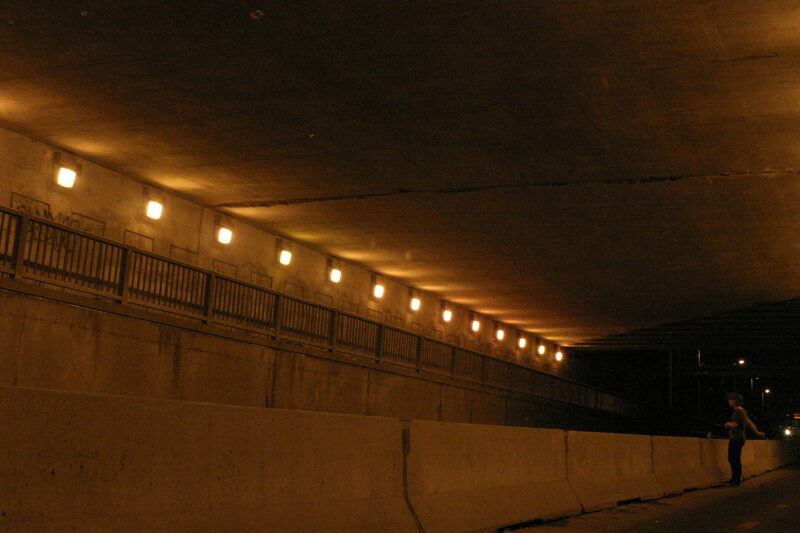 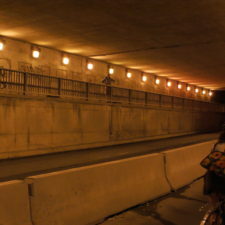 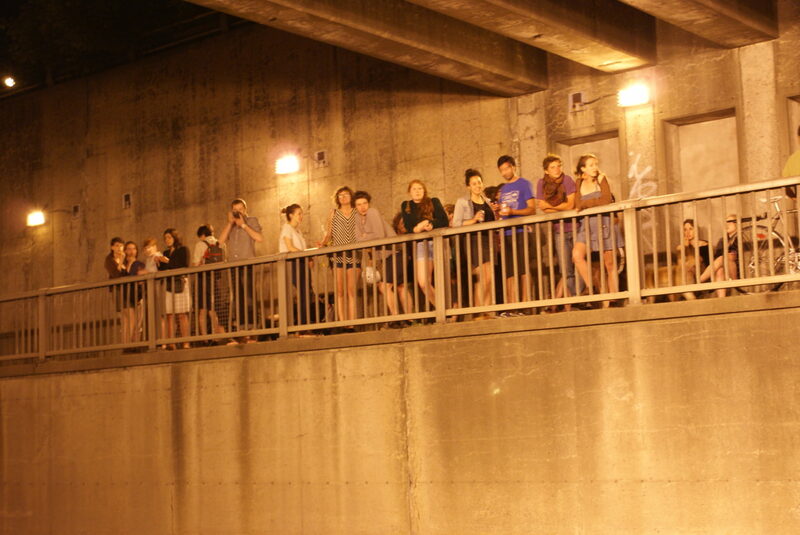 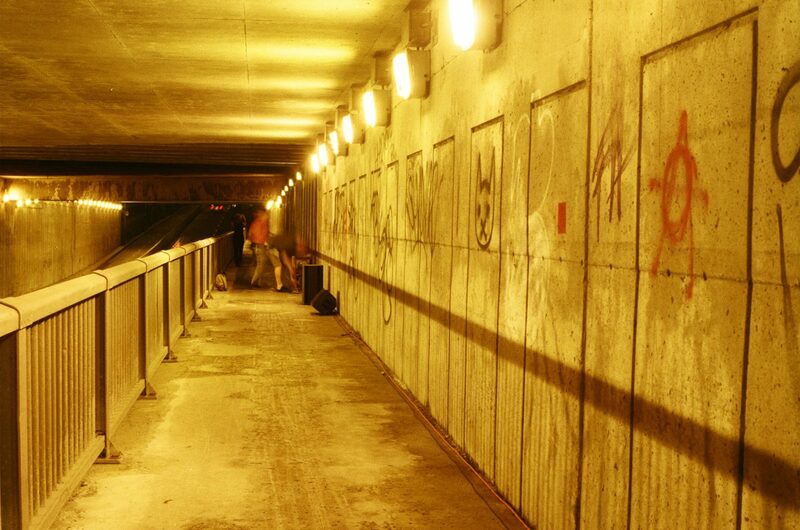 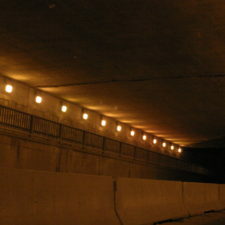 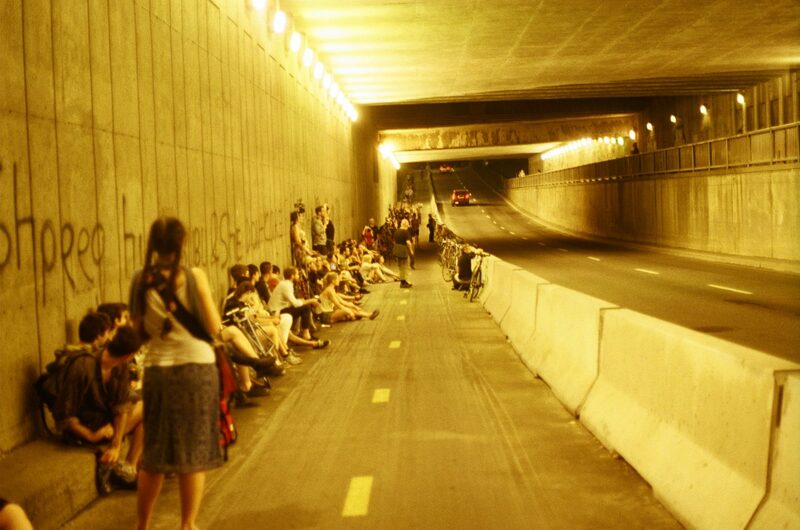 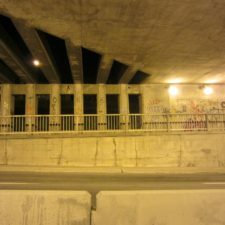 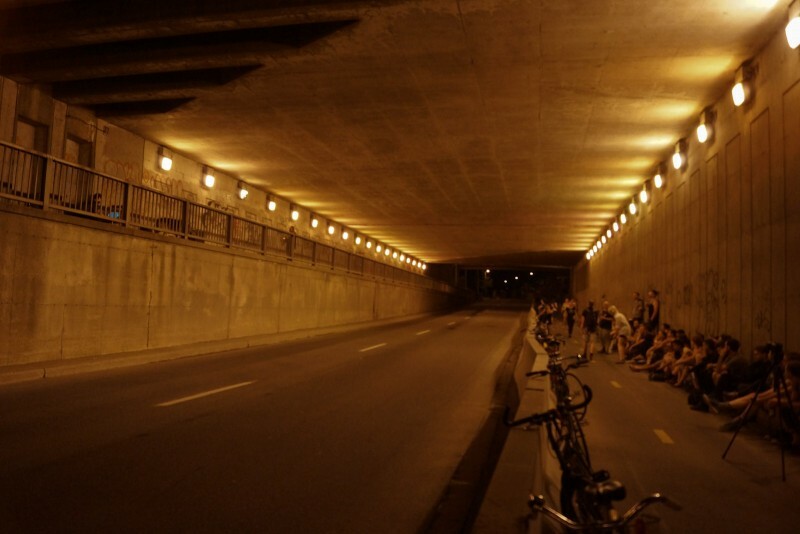 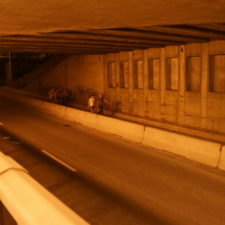 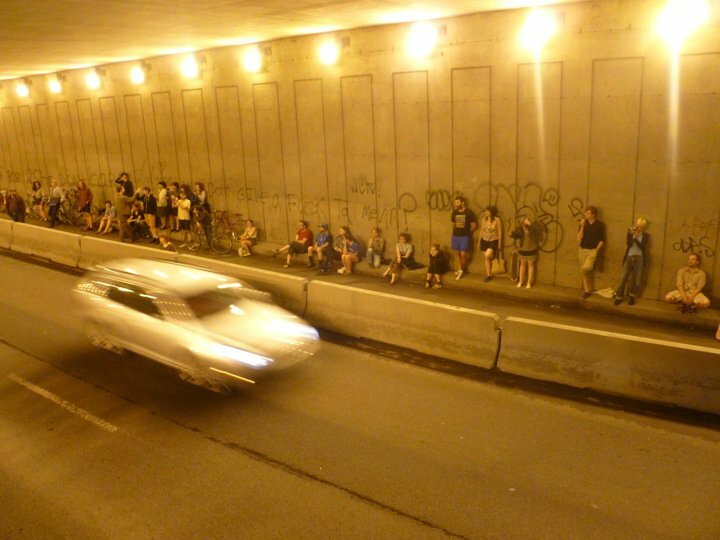 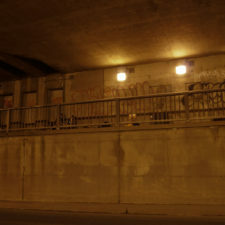 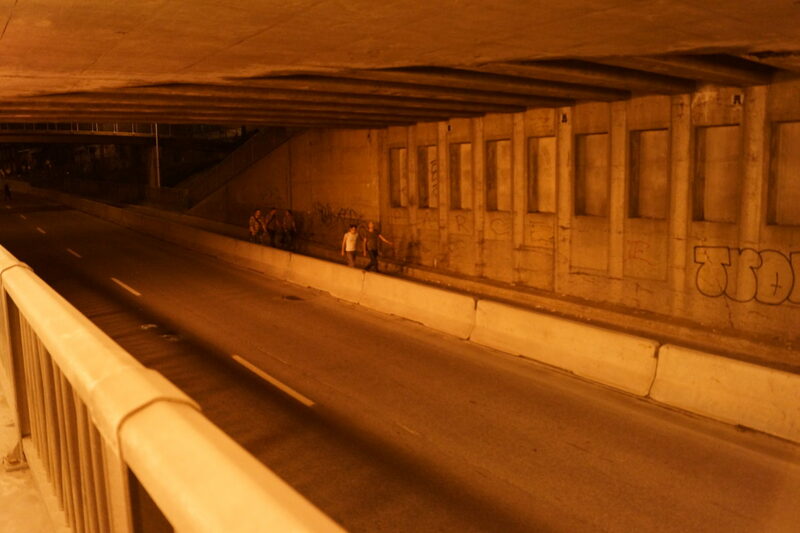 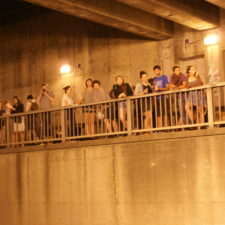 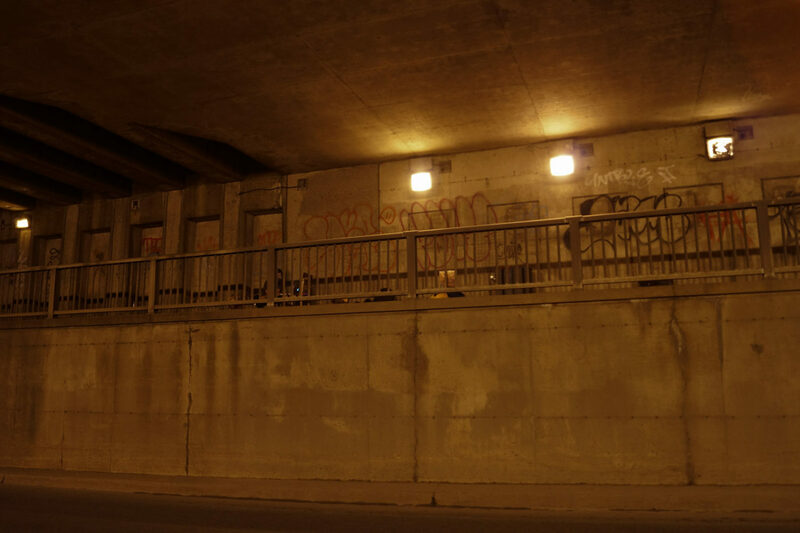 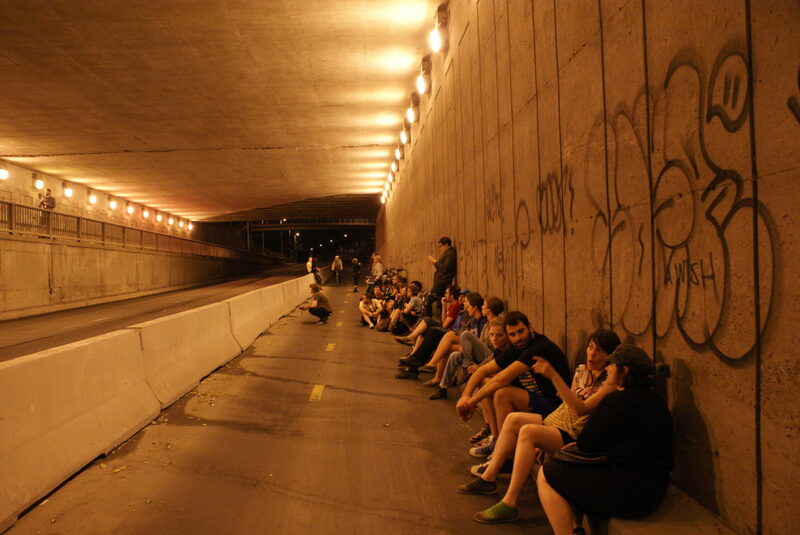 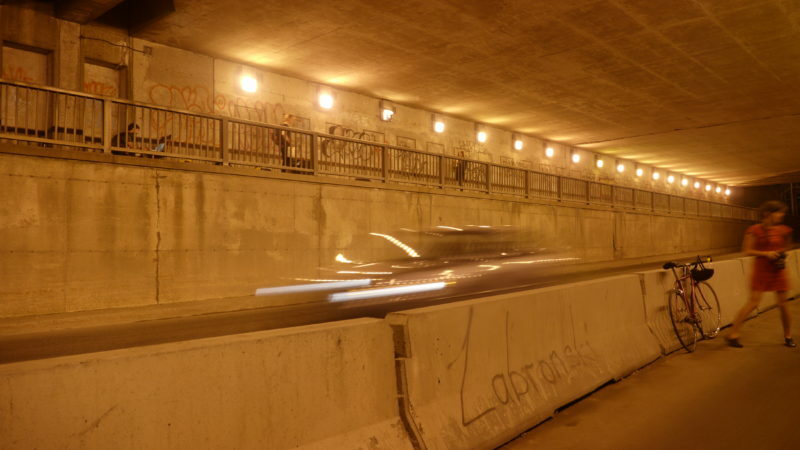 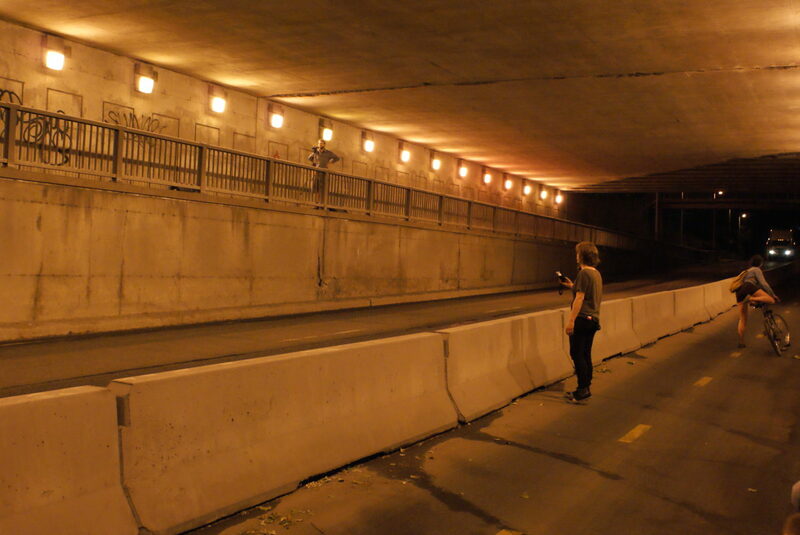 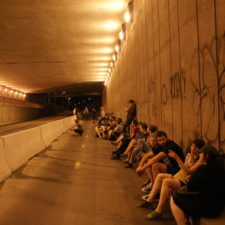 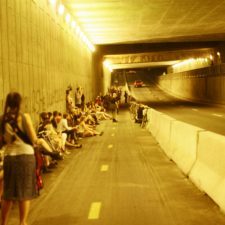 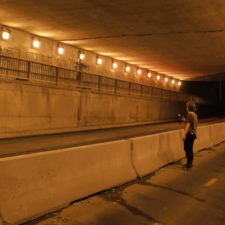 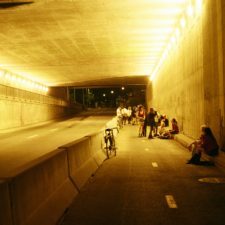 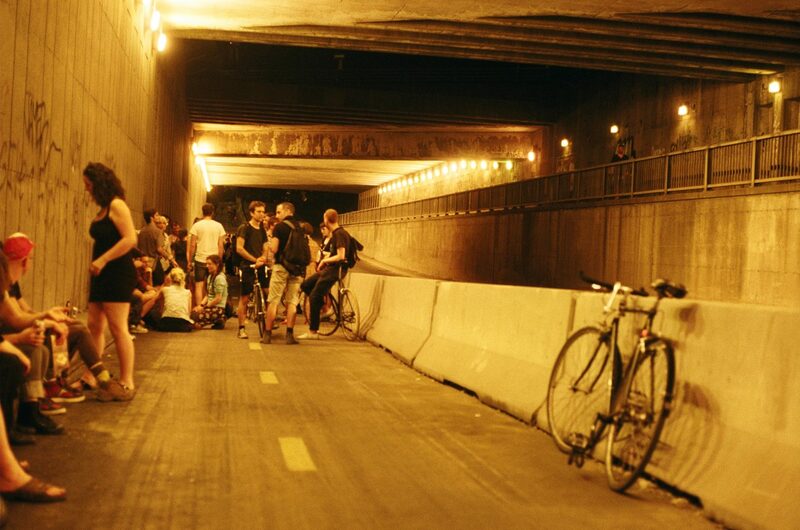 The Saint Urbain Underpass is a 250 meter long viaduct connecting St Urbain and Van Horne in Montréal. 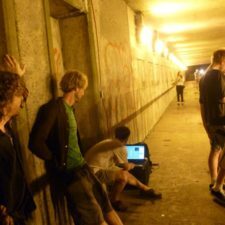 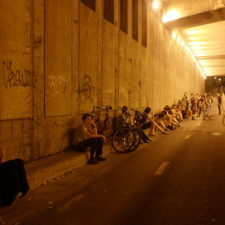 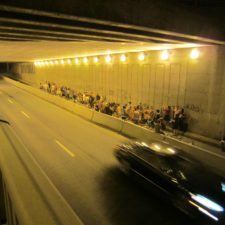 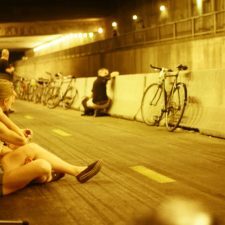 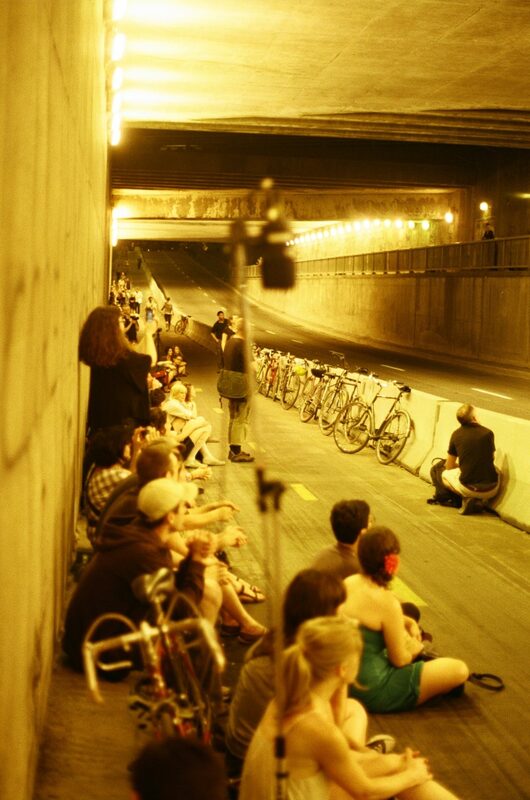 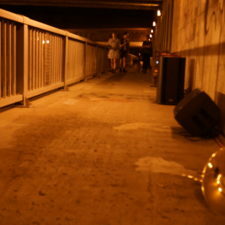 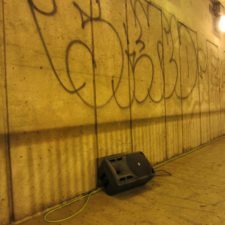 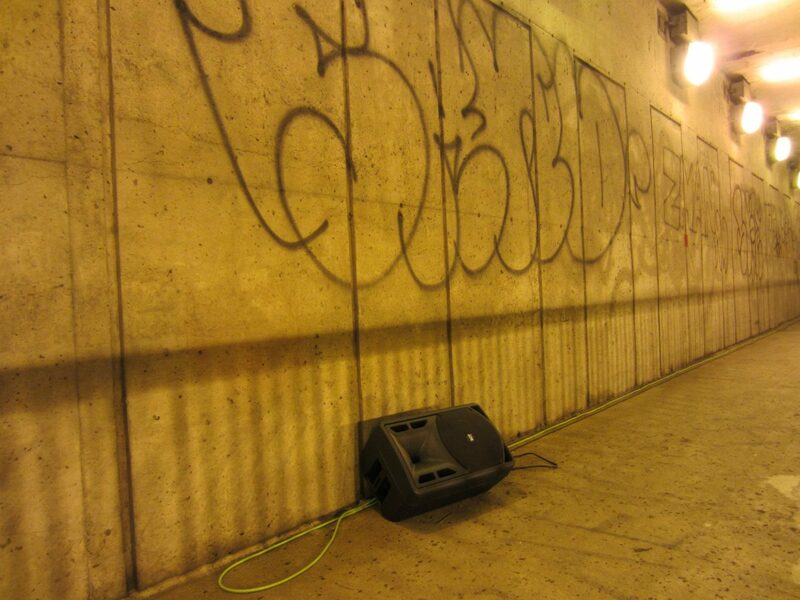 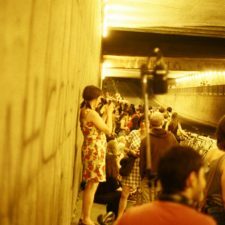 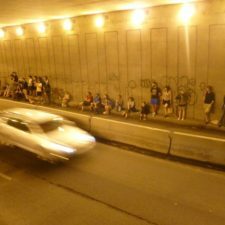 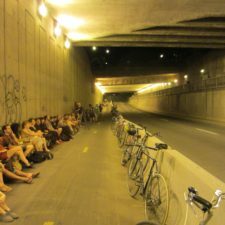 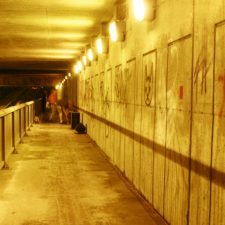 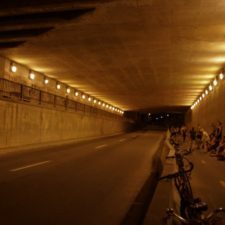 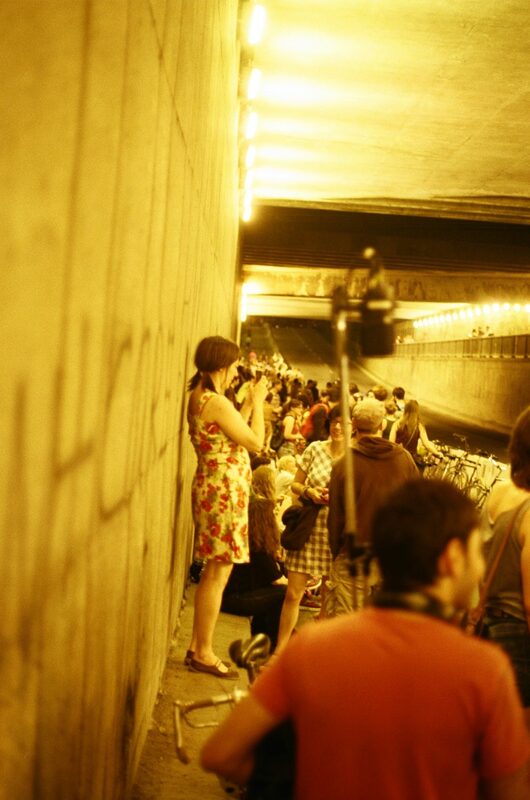 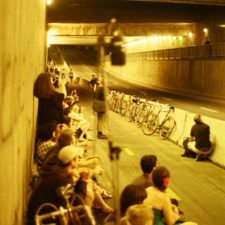 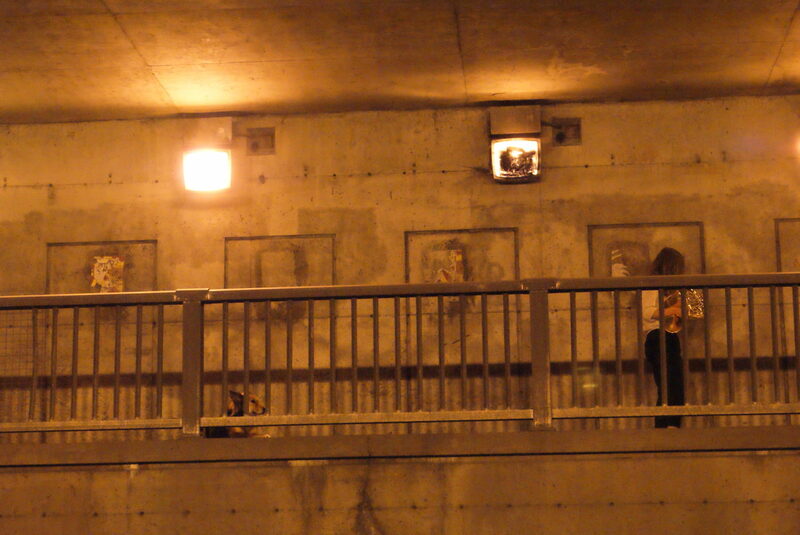 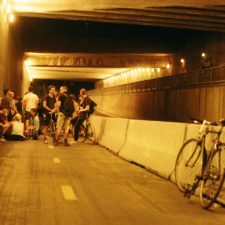 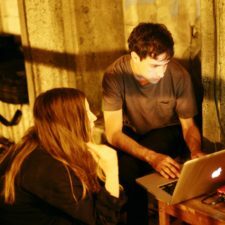 The performance combined horn, field recordings and live electronics amplified through speakers spanning the length of the tunnel. 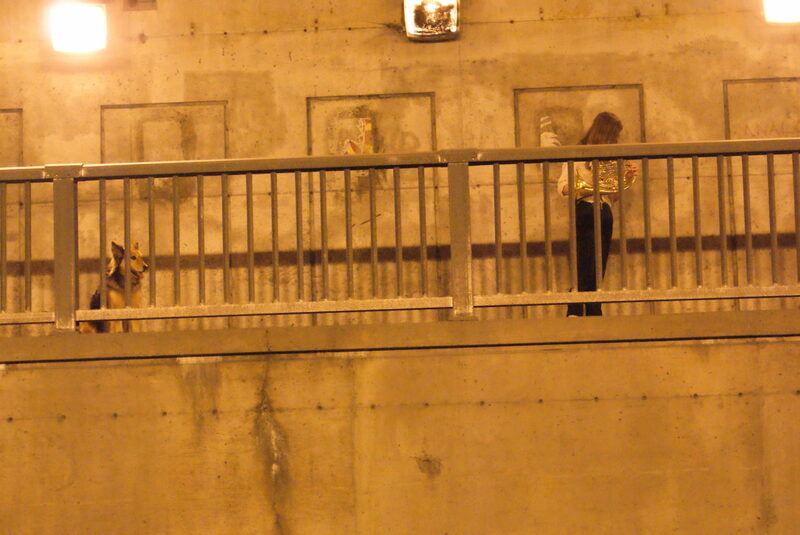 As the performance progressed, the passing cars, bicycles and trains became instruments in the piece. 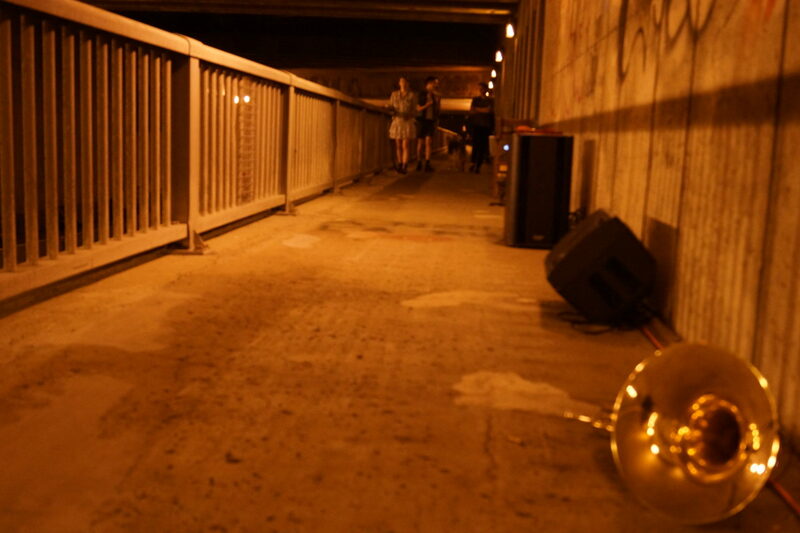 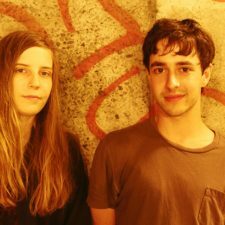 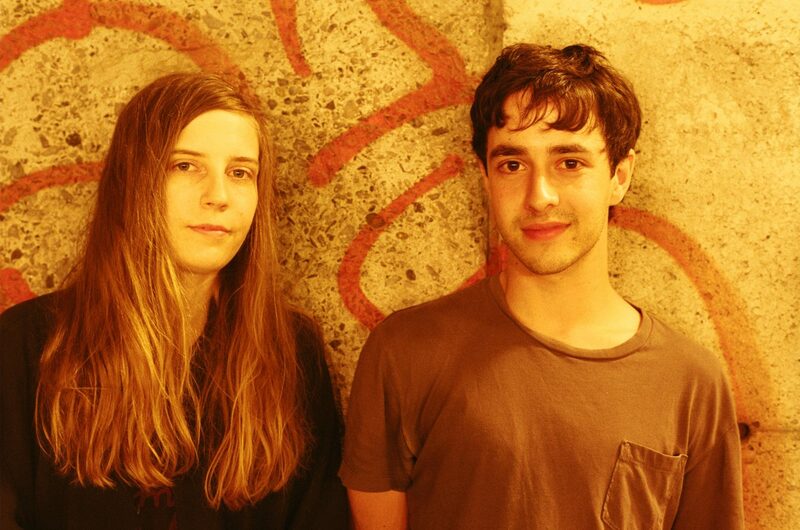 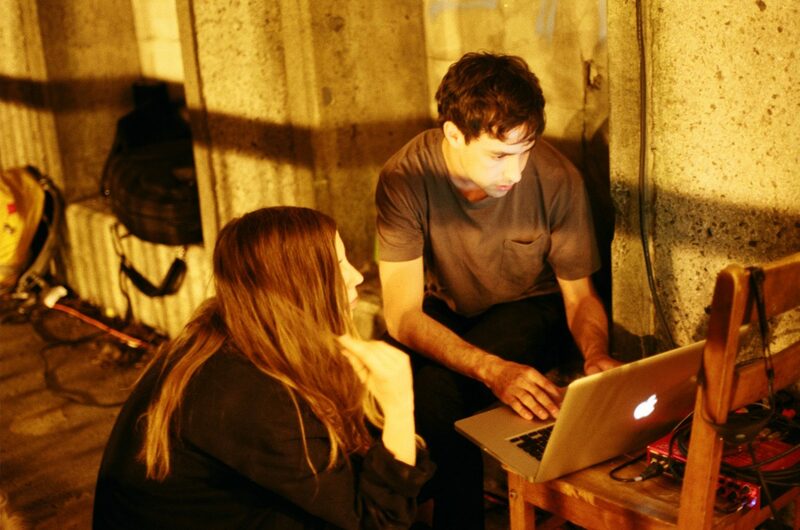 The performance was recorded with binaural microphones and independently released on vinyl. 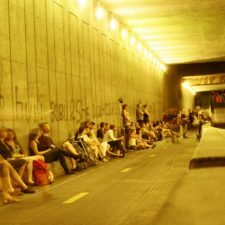 The record release was held in the same location on June 11 2012 for the Suoni per Il Popolo festival.